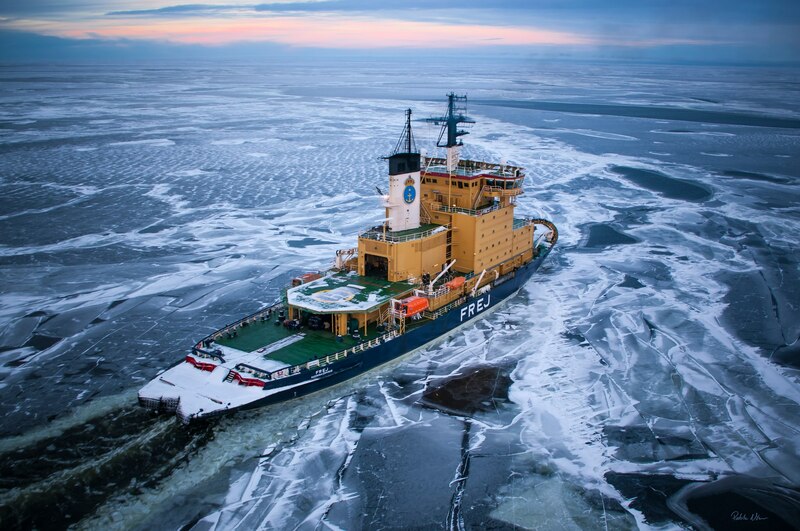 Back in 2016 the ship M/S Transpaper transporting cargo in the Gulf of Osthrobotnia between Finland and Sweden received for the first time route information from a nearby icebreaker Frej. While it doesn’t sound like an extremely advanced feature in today’s world with its unstoppable information flows, exchange of route information between vessels at sea is not as common as one would think. Seafaring has a history of thousands of years but it does not mean everything in the industry is invented and ready. Quite the opposite. Where, for instance, commercial air traffic became a commodity only in the post-war era and has seen its raise in the modern times, commercial shipping has been around throughout our recorded history. The old legacy holds many traditions sitting persistently in maritime industries that reach out to all seas of the world. However, as the seas and oceans have become crowded with traffic, cooperation is more needed than ever – between vessels, companies, public administration and, in fact, all related bodies. What can then be the power to bring the competitor companies, researchers with the newest independent knowledge, policy makers and captains of the vessels around the same table to develop, test, share and spread solutions for more efficient, safer and greener maritime traffic together? We can’t sit in our own premises developing our products, but always need to remain aware of and involved in the relevant networks. Joint projects give us this opportunity. Swedish Maritime Administration (SMA) is a governmental agency of 1,200 employees responsible for maritime safety and availability. 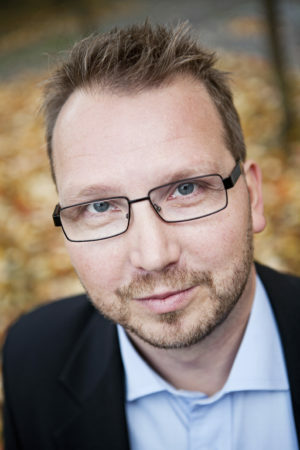 Magnus Sundström has worked as the Head of the Research and Innovation Department of the SMA since year 2012. 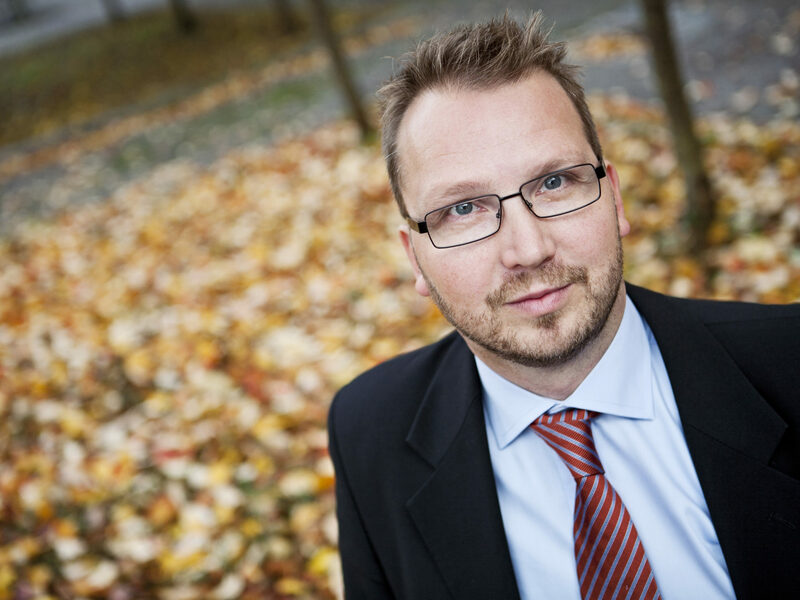 Strategically, the focus of his work is on the digitalization of maritime transport. Technically, it is for a large part done by bringing different actors together to see their common interests, and practically much of this happens through different projects. ‘We have a big pool of ideas that can be turned into projects. We also have a large and active network of cooperation partners all over Europe and the world. And, last but not least, me and my team have gathered quite some knowledge of the different financing instruments that are out there’, Sundström explains. Cooperation works. 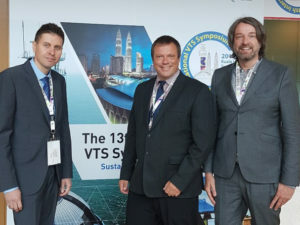 Dmitry Rostopshin together with Anders Johannesson and Fredrik Karlsson from the SMA. Magnus’ team member, Communication Manager Emelie Persson Tingström claims Magnus to be a central person in managing the strategic vision, available tools and vast networks. ‘In the end, it comes down to his very good people skills’, Emelie describes her colleague. This view is strongly shared by Dmitry Rostopshin who speaks with much respect and gratitude to the whole team at the SMA. ‘I have a lot of experience about different networks and project partners, and the colleagues at the SMA are always reliable and know extremely well what they are doing. We keep close contacts and have had several projects together and many are certainly yet to come’, he continues. While air traffic management has from its beginning been developed to be very strict and controlled, and the aircrafts must share a lot of information to be permitted to take off, it is still today common that vessels do not have access to, for instance, each others’ route information. Also the communication between ships and ports is not always fluent. All this leads to increased needs for route adjustments during freight and longer waiting times around ports. Since the year 2010 SMA has been, coordinated by Magnus Sundström and his team, a partner in several interlinked EU-financed projects that have been developing solutions for info sharing of vessels and ports and therefore making people more efficient and safer at navigating the seas. Single projects are limited in their duration but, on the other hand, offer much flexibility compared to other tools we use. 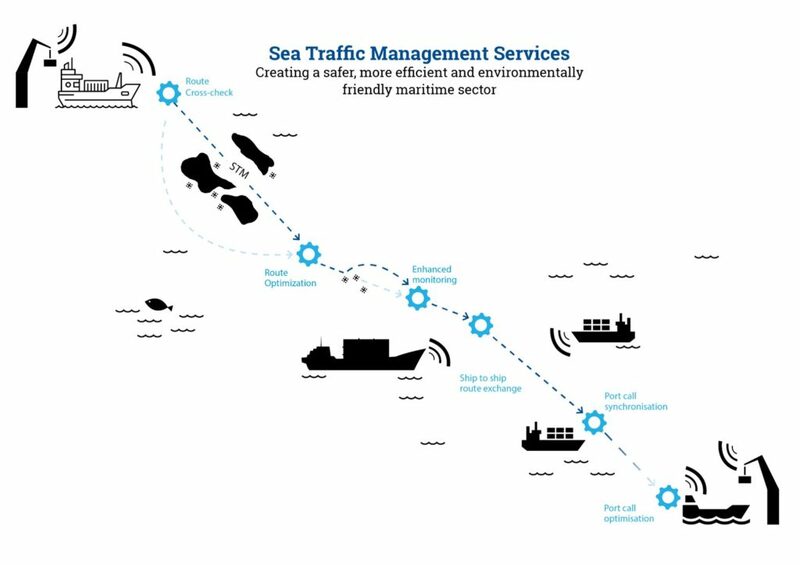 The concept of Sea Traffic Management (STM) was developed in the project Monalisa with the aim to bring sea traffic management to a comparable level with air traffic management by the year 2030. ‘As individual projects cannot reach over such long periods, several projects are contributing to the shared goal. Building projects takes time but working through projects provides also flexibility to put our efforts to where they are most needed at a given time’, Sundström explains. Sea Traffic Management services include several elements which all need to work seamlessly together to be safe, efficient and environmentally friendly. Simultaneously with the implementation of these and many other projects new partnerships are constantly being built and plans made to be able to bring the big strategic vision to life in collaboration with relevant stakeholders. ‘Being part of these projects gives us a great opportunity to connect our research and product development to the users’, Dmitry Rostopshin praises. Looking at the big vision of having the STM in place by 2030 and the variety of stakeholders in the process it becomes easily clear that even the biggest developments are a result of individual people and a number of small steps they take together. ‘When there is a true need to develop something, there are always people to do it and someone to finance it’, summarises Magnus Sundström. Most often when positive change takes place and good things are developed there are people similar to Magnus together with his team and networks to be found: with forward-looking attitude, plenty of knowledge and an ability to keep people motivated for cooperation.